This entry was posted in artists, books, Bulbs, clippings and tagged Iris reticulata, Leonard and Virginia Woolf, Vox. Bookmark the permalink. That is a very scary comparison to today. I will plant iris. Gardening is a life-affirming activity. The quote is a good reminder but the current mayhem is still hard to stomach day-by-day. Damn. Instant tears. Thank you Denise. Who would have thought we’d be where we are today after two World Wars? I am planting but I am more nervous than I ever expected to be. Thanks for a lovely post. That’s lovely. Keep doing what you’re doing for this too shall pass? Great post! I ordered Iris reticulata a few weeks ago, so I’ll be planting some this fall, and when I do I’ll remember this post. Planting it is. 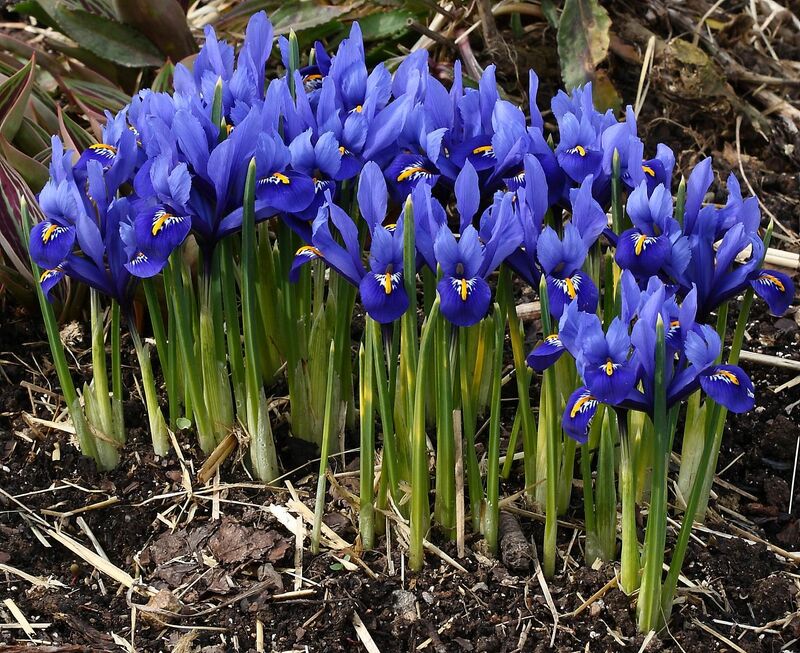 Iris reticulata have been added to my bulb order and I’ll think of this and you as I plant them this fall. Thank you.